MADRID, Spain – Spain is experiencing a new trend that could help sales for years to come. The growth is gradual, but city and folding bikes are finally becoming more prominent in the Spanish market. 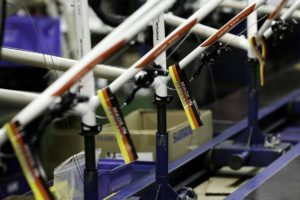 Spain’s industry is now at a mature stage of development, with no big changes in the figures for bike production, imports and exports over the last couple of years. However, globalization is affecting the way the industry does business. 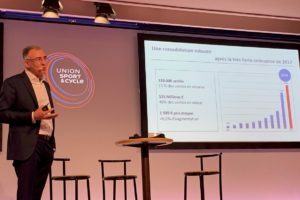 Spanish consumers are buying more bikes: over a million bicycles were sold in Spain in 2006, compared to 750,000 in 2003 and 2004. The increase does not seem to be related to sports models. Racing models enjoy healthy sales in Spain, but they are not increasing in popularity among final consumers. 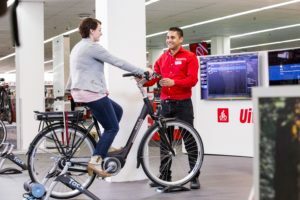 Sports bike sales have been quite steady for a long time, so this increase in sales volume is coming from a new interest in city and folding bikes. Weather has never been a problem in Spain (for biking, at least). In fact, bike commuting is very popular in countries with much rainier (Benelux) and colder (Scandinavia) conditions than Spain. The main problem in Spain is the lack of infrastructure. However, City Halls from the biggest cities have realized the importance of bikes and are investing more money in order to create an infrastructure that can motivate people to commute by bike. Big cities like Barcelona are working on the issue, with positive results. New bike lanes are being created in an increasing number of localities around the country. This is because traffic and pollution are becoming a very important problem in the big cities. 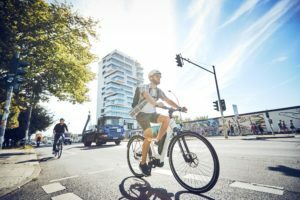 The cost of parking and fuel is also very high, so biking seems like a very efficient and smart option for those who need to travel short distances. Exports have stayed more or less level in the last five years, at around half a million units per year. However, in the first semester of 2007, the figure was just 20% of the previous year’s result. While it is true that exports pick up at the end of the season, with the arrival of the next season’s collection, it’s thought that total exports for 2007 will fall quite short of the half million unit level seen in recent years. The cause of this drop is not yet clear. One possibility is that the Spanish market is more receptive to domestic products than in the past. This is because consumers are more realistic and understand that the standard of quality is very high, no matter the brand. 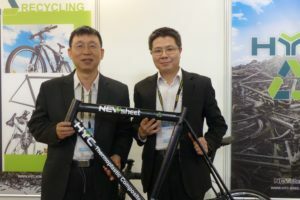 It is also true that the new group of consumers that buys city and folding bikes is less conditioned by brand values, with purchasing decision swayed by other factors such as price and features. It is clear that if you want to be competitive, you need a good price. And there is no alternative to taking your orders to Asia. Manufacturing in Spain is a difficult proposition and is becoming the exception. Moreover, consumers do not place extra value on bikes that are domestically produced: they simply do not care about the origin of products. Consumers have learned that almost all products come from the same place and that the standard of quality has improved greatly in the past decade. Domestic production is declining year by year, although not in a very dramatic way. Just to give an example, the drop in production between 2003 and 2006 is only around 50,000 units, a fall of over 10%.